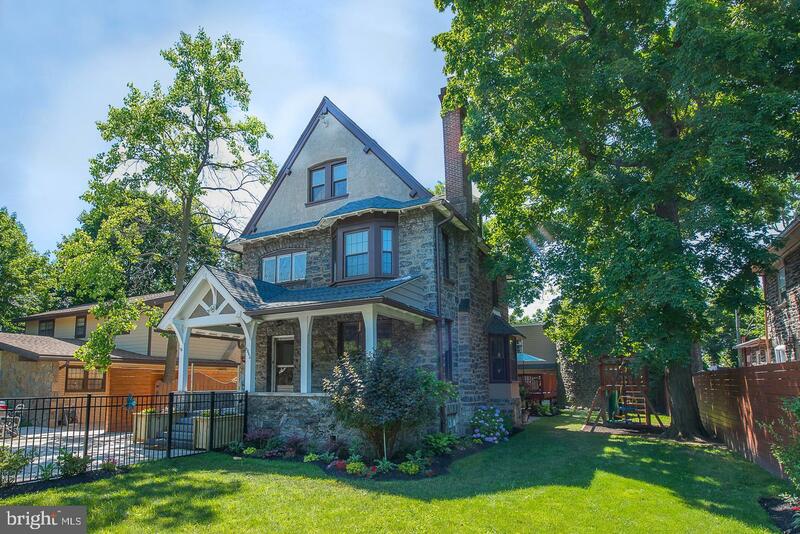 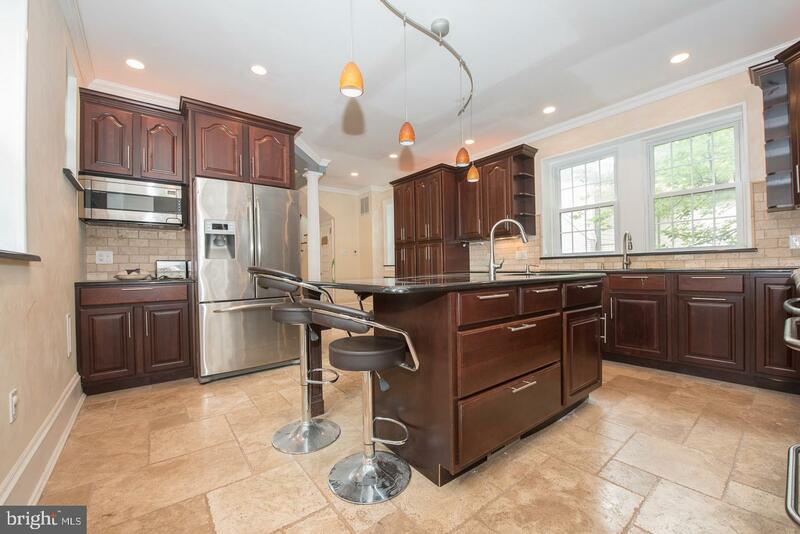 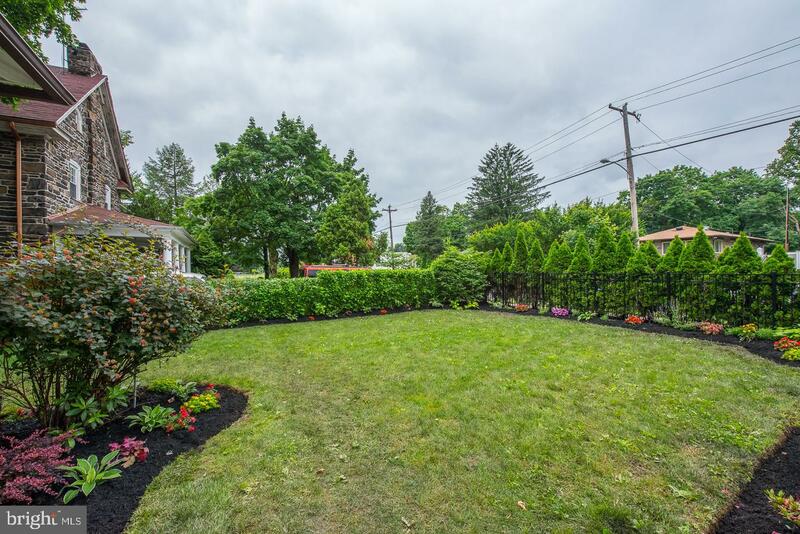 Located in Historic Overbrook Farms, this fully renovated, 6 Bdrm, 4 Full Bthrm, 1 Pwdr Rm, 3725 sqft 3-Story, stone home w/charming stone porch is a must see. 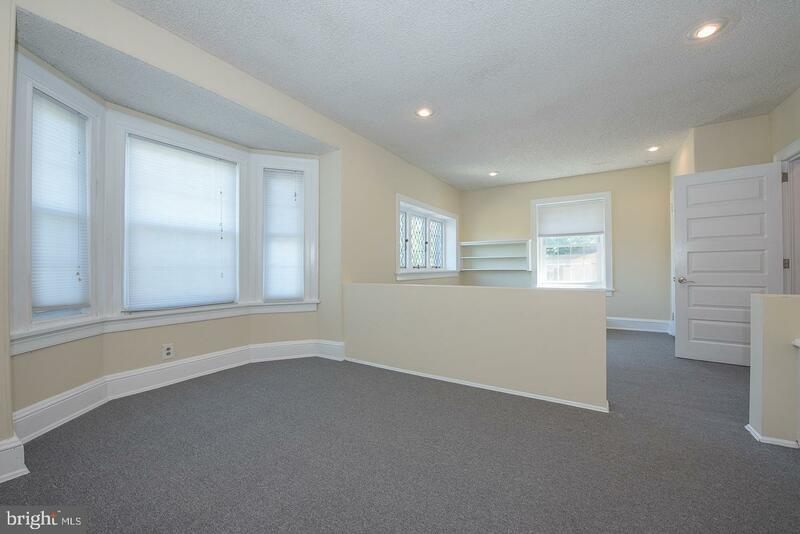 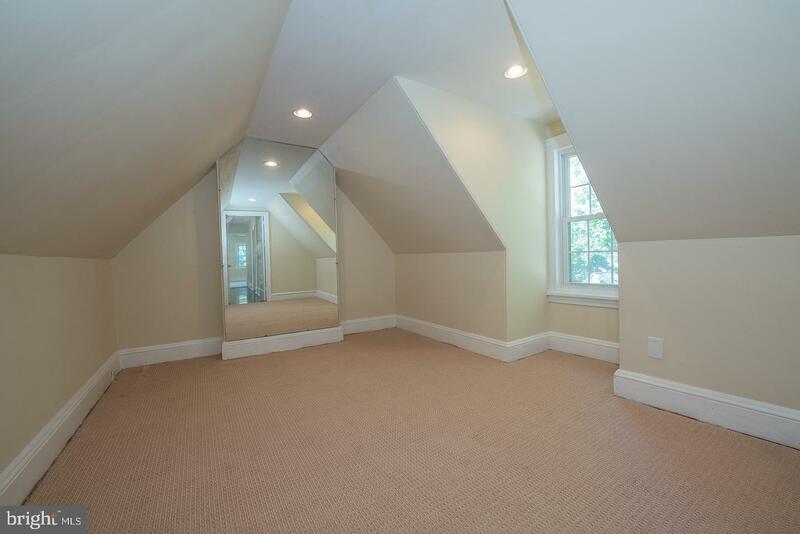 Enter into a gorgeous Living Rm w/naturally colored hardwood flrs, a wood burning fp, crown molding & plenty of light. 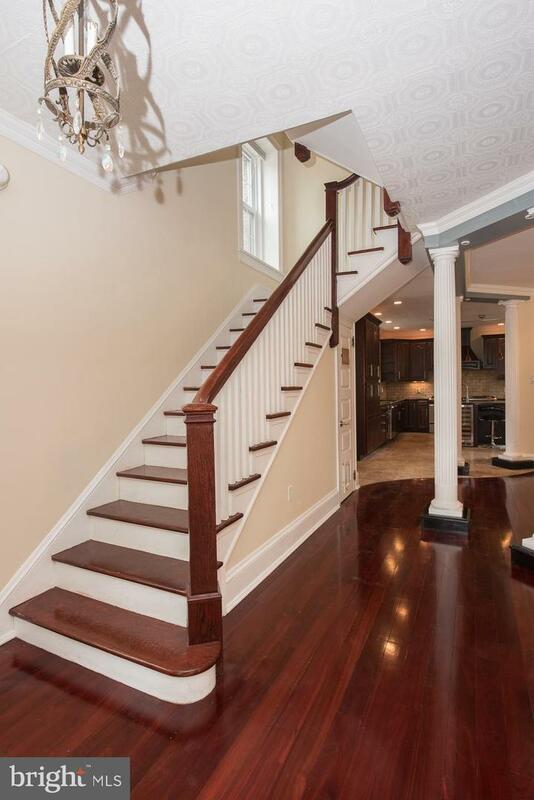 You'll notice the beautifully preserved original entry & interior doors, base & case moldings throughout. 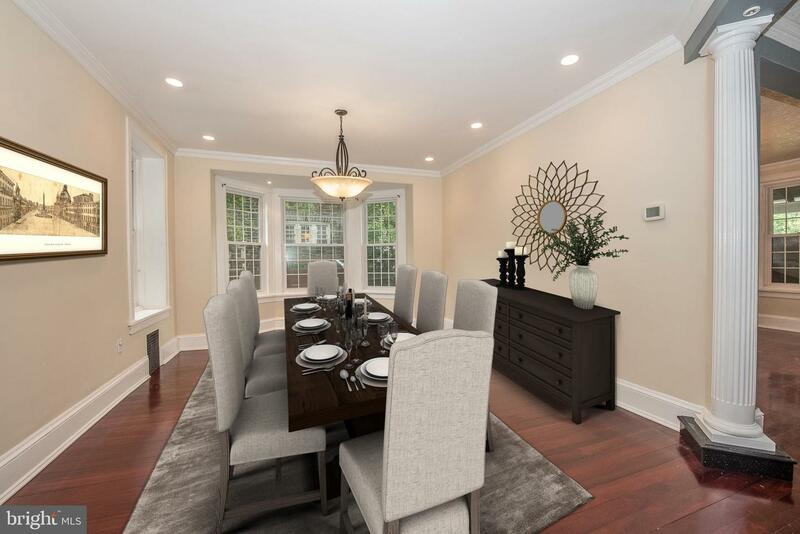 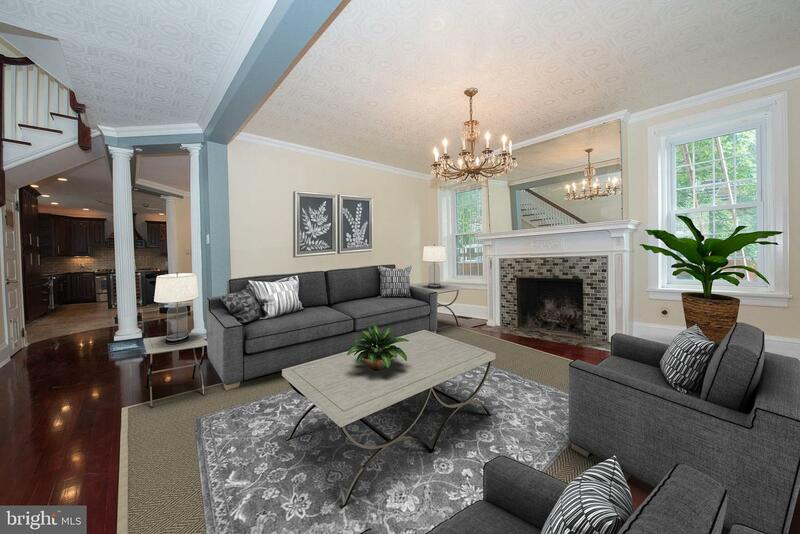 The Large formal Dining Rm has crown molding, recessed lighting, a bay window & beautiful hardwood flrs. 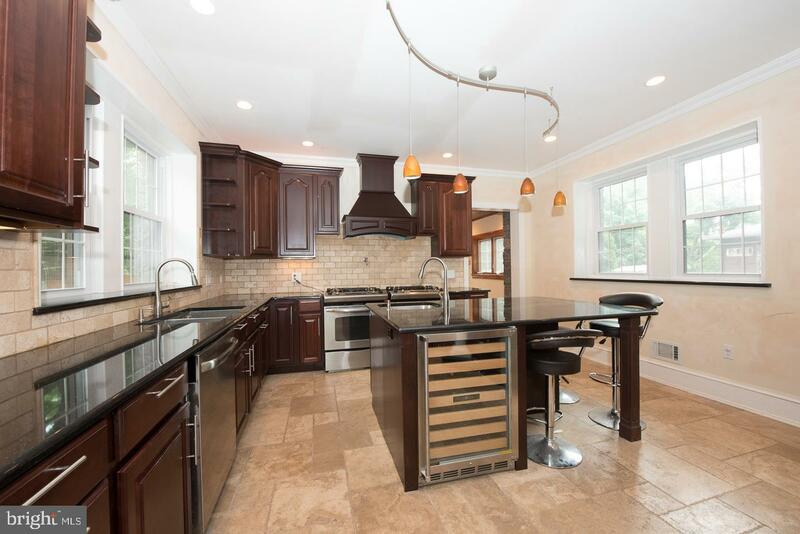 The open flr plan has a completely renovated, Chef's Kitchen offers granite counter tops, huge granite Breakfast Bar, stone back splash, 60" gas range with dble ovens, stainless steel appliances, heated stone flrs, a wine refrigerator, crown molding, under cabinet, over cabinet, toe kick, pendant & recessed lighting, pre-wired for corner cabinet drop down TV. 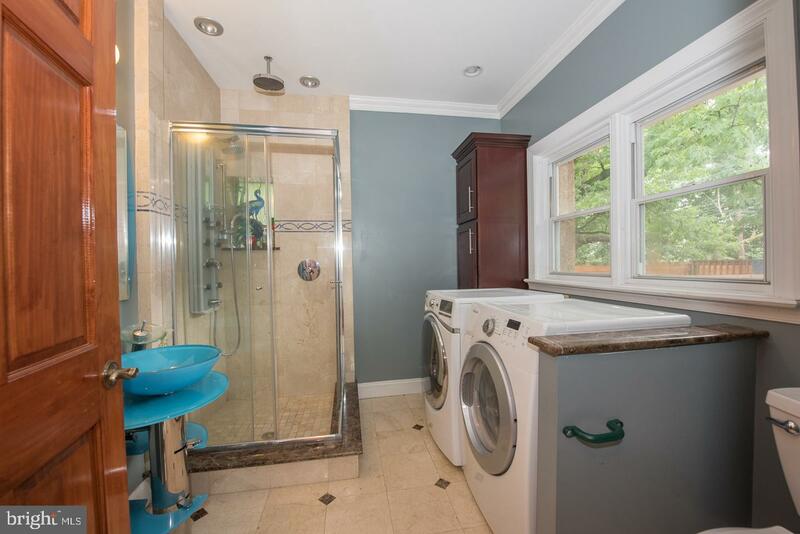 Laundry Rm & full Bth w/marble flrs & a custom glass shower on this level. 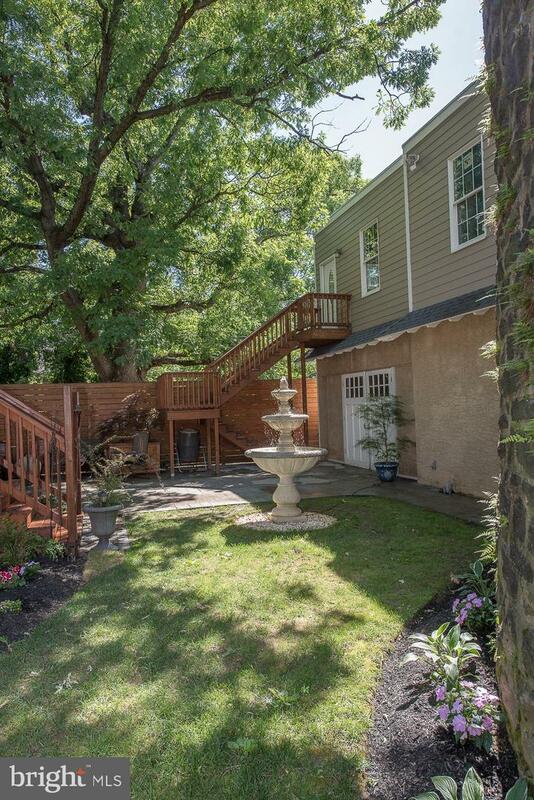 Double glass French doors open up to an amazing deck, with a hot tub area, grilling & dining area, beautifully landscaped backyard, home of a very interesting, Historic stone tower! 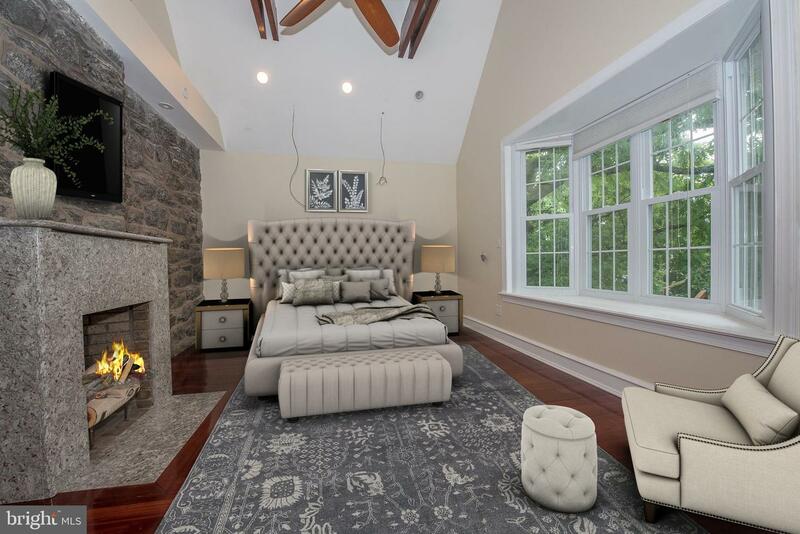 The 2nd level offers a grand Master Bedroom suite with exposed stone & brick, hardwood flrs, stunning 18ft Cathedral Ceilings with exposed beams & oversized ceiling fan, a stone, gas fireplace, a huge bay window, a large walk in closet, & a sitting rm, bdrm is pre-wired for surround sound system. 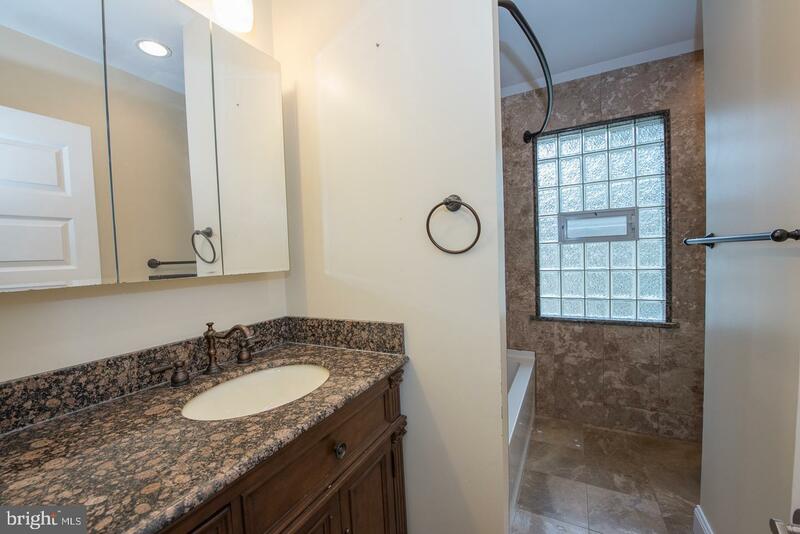 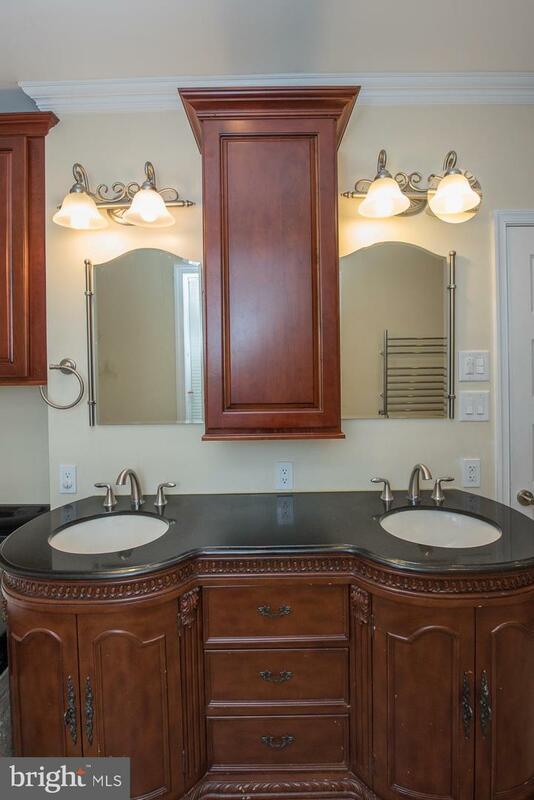 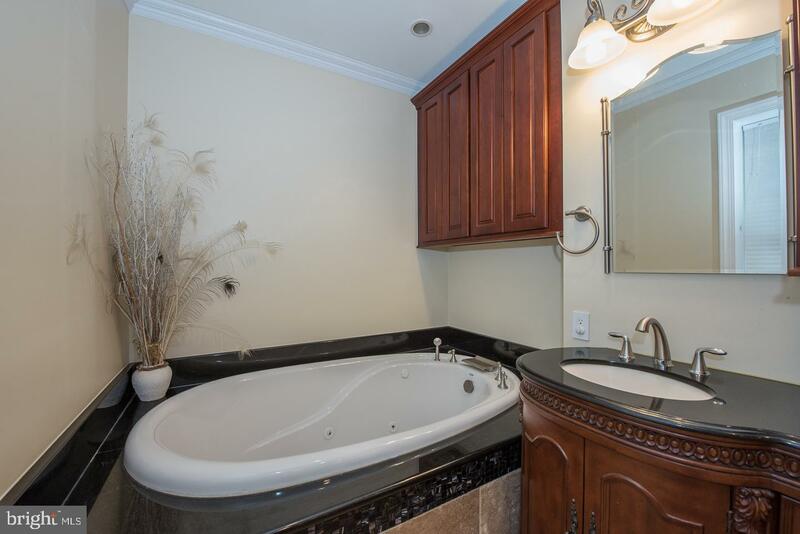 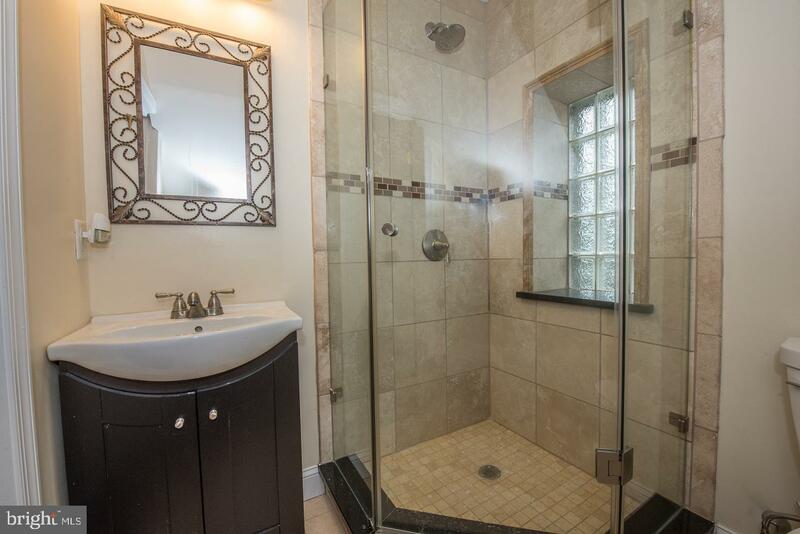 The elegant, updated, Master Bath includes heated flrs, heated towel bars, double vanity, seamless glass rainfall shower w/tile surround, and a heated Jacuzzi tub. 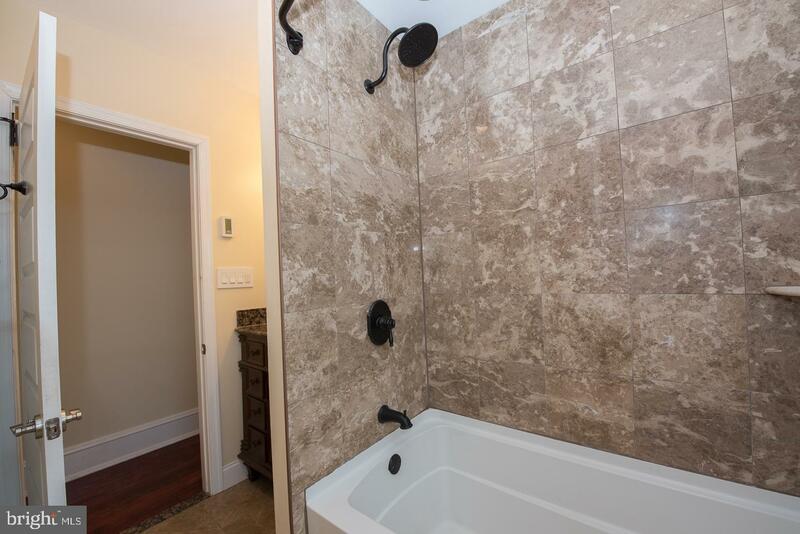 2 additional sizeable Bdrms, newer carpet & full hall Bthrm w/heated marble flrs, marble bath area & marble vanity. 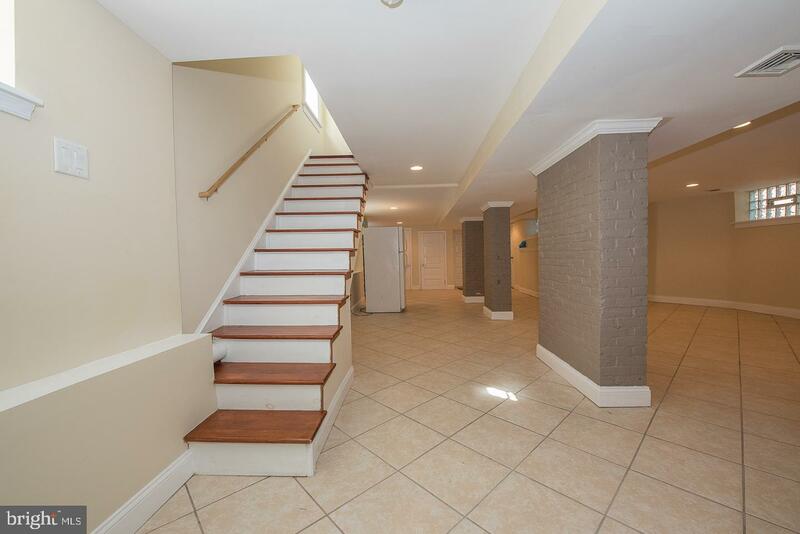 The 3rd flr has 3 more Bdrms & another full Bthrm with heated flrs. 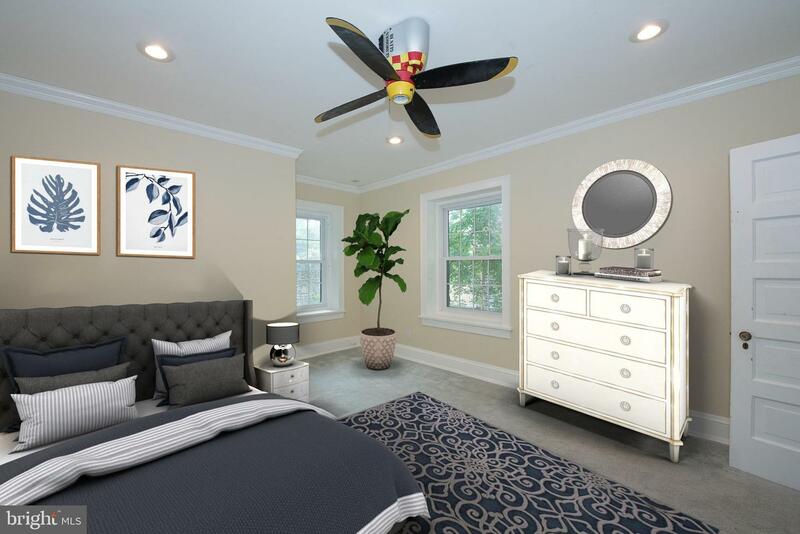 Entertain in an Over sized, Finished lower level Family Rm adding additional 1000 sqft of living space with a gas fp, a powder rm & porcelain flrs throughout, with plenty of storage space & natural light. 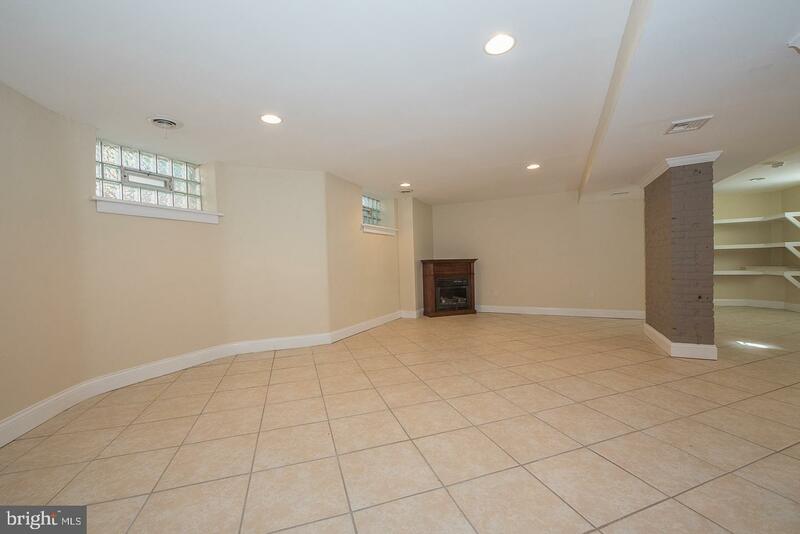 There is an over sized, 2 story, detached Garage with 1600 sqft of space, containing a 100 amp sub panel, powder rm, 2nd flr could easily be converted into a 1-2 bdrm in-law suite! 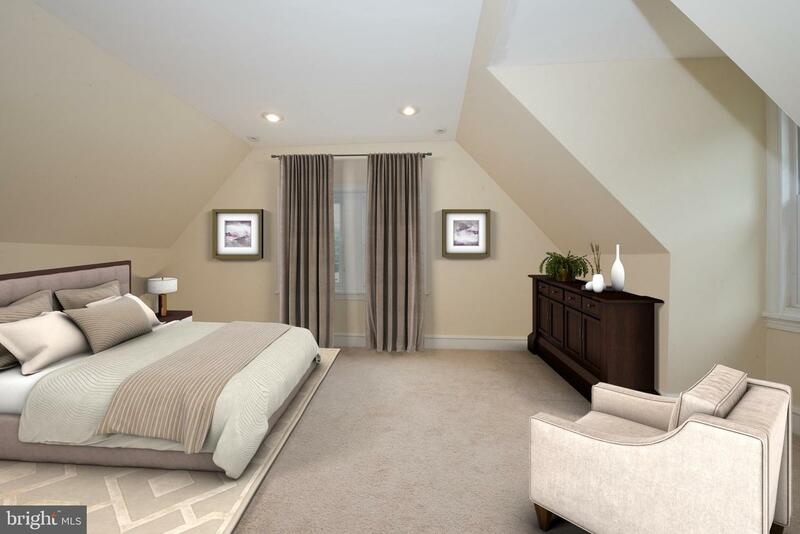 The roof has been constructed to support a possible rooftop deck with an Amazing City Skyline View. 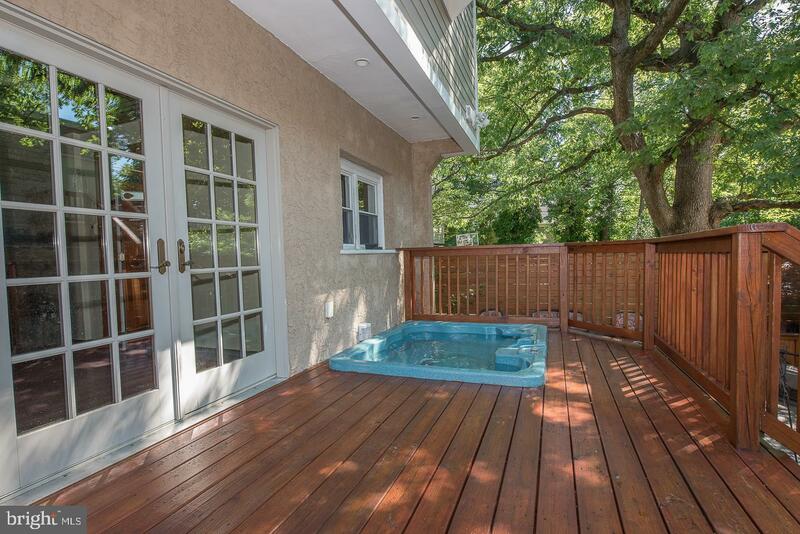 New Electric, New Plumbing, New Windows, New Roof, 200 amp electrical service, 2-zone Central Air. 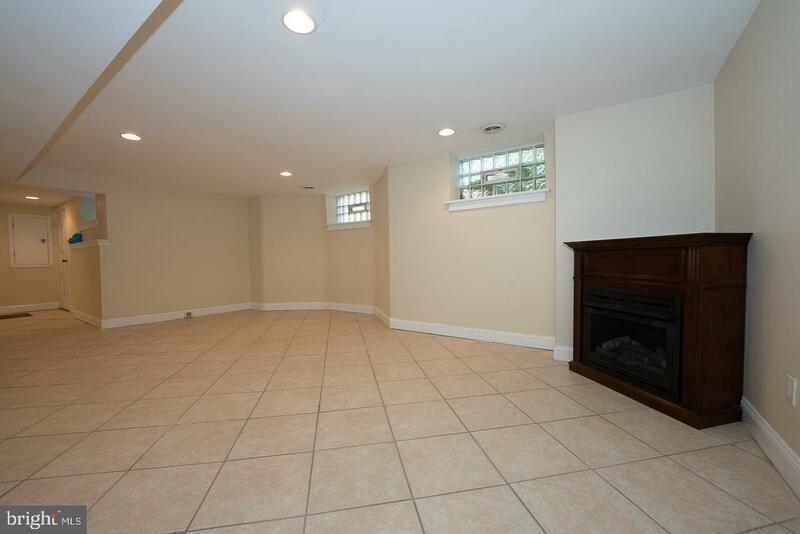 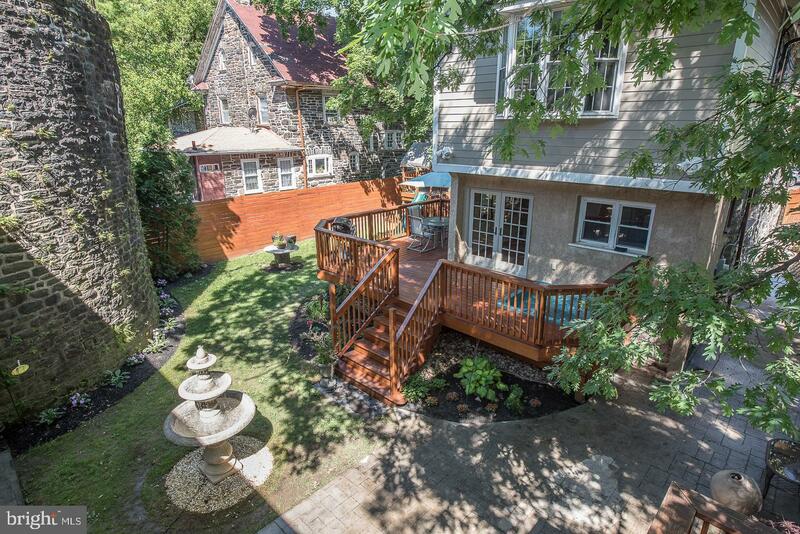 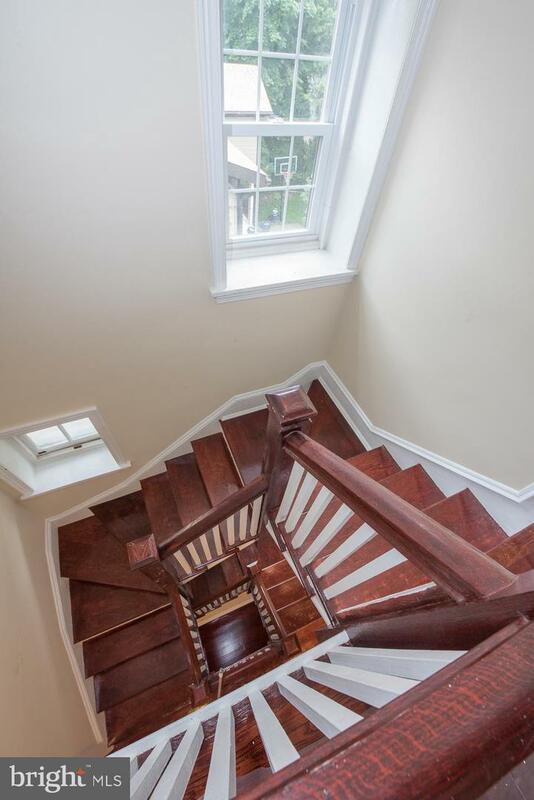 Walking distance to Overbrook Train, Easy access to Rt.1, I-76 & Center City Philadelphia. 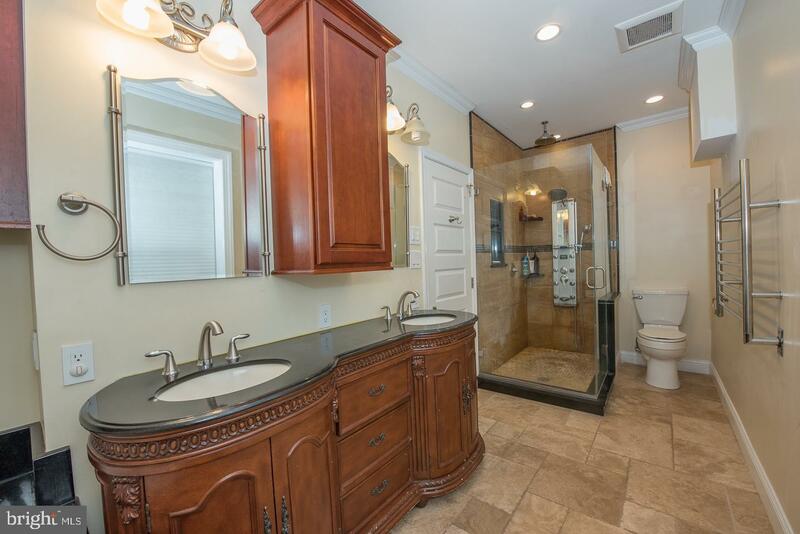 This home is truly in move-in condition.